In another exclusive, Rewarding Times has teamed up with Luggage Hunters, to offer you SMART ID. Retailing for €12.50 + P&P in the shops, you can now get SMART ID for only €8 delivered to your door. Register the unique code on each set of tags/labels on www.LuggageHunters.com, entering two mobile numbers. Attach the tags/labels to your keys, passport, phone, etc. 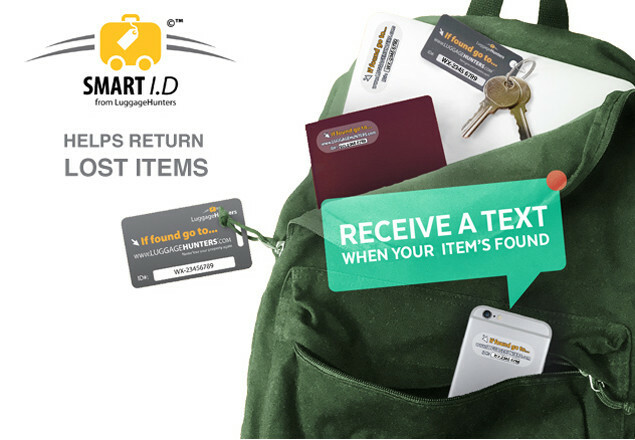 Once someone finds your item they can then send you a prompted text via the website. Each pack contains 1 high quality PVC luggage tag with luggage loop, 1 PVC key fob and 2 high spec. clear I.D.labels for your phone, laptop, iPad, passport etc.